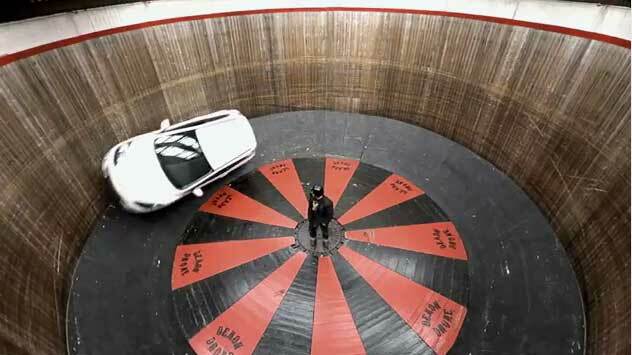 Mazda2 rides the Wall of Death? Sure why not! Mazda2 on the Wall of Death? Sure why not! Let's see your larger car do that. By the way, am I the only one that wishes there was some Rockabilly music in this video? By the way, you can learn more about the "Wall of Death" over at www.demondrome.com. Love how it ends the run on three wheels with the rear one spinning! Oh, and I love how he rides without a helmet but puts one on when he gets in the car.